This Rooftop Restaurant In Rajouri Offers Delicious Butter Chicken Spring Rolls! If you’re really dil se desi, then this is something you cannot afford to miss! Frankly, how many of us don’t like spring rolls? NONE! So, wouldn’t it be amazing if you could try one that is filled with butter chicken? Oh YUM! 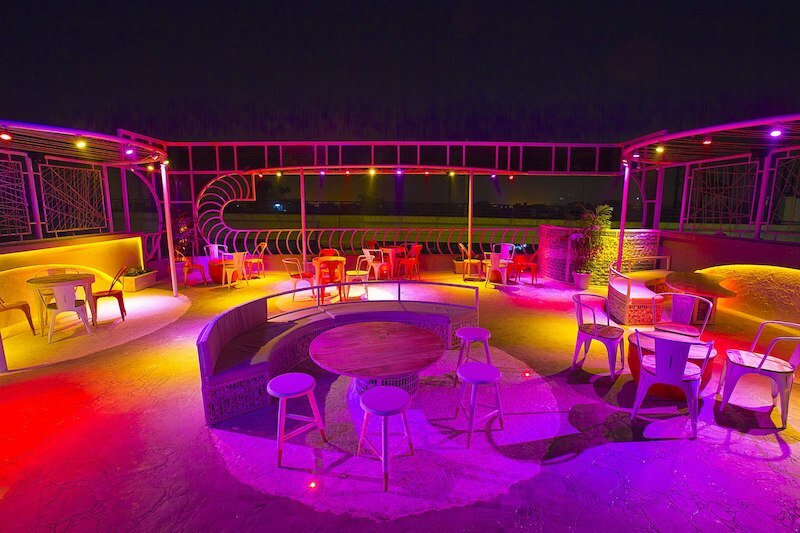 IKKA – The Ace Bar is a one of a kind restaurant with an overcharged menu of delicious meals! And one of the things that we loved about this place is their fusion of a Chinese Dish with Indian fillings. Dripping delicious juices and fried to crackly perfection, the meals is an absolute pleasure to hog on! But, it’s not just the meals here that left us in sweet surprise! It’s also the eclectic ambience of the place! With fun pops of electric blue and white lights – the place always looks charged up for a party. In fact, with a spacious seating arrangement, there’s always enough space for you bring the roof down with your dance moves! Of course, not to forget its spiralling affair of a staircase that takes you to the rooftop! The seating arrangement here is a beautiful affair and a centre stage affair for all who might wanna party harder than rest of Delhi. Then, of course, there’s the roof to consider too! And the food!! You must try their – Khatta Meetha Potato Chaat, Paneer 65, Thai Chicken Satay among other dishes! Tagged Bangalore, delhi, delhi-ncr, gurgaon, Mumbai, noida, Rajouri Garden, This Rooftop Restaurant In Rajouri Offers Delicious Butter Chicken Spring Rolls! Soon Ferry Services Might Start On Yamuna Between Delhi And Allahabad! These 10 Affordable Date Night Spots That Are Best For Valentine’s Day!